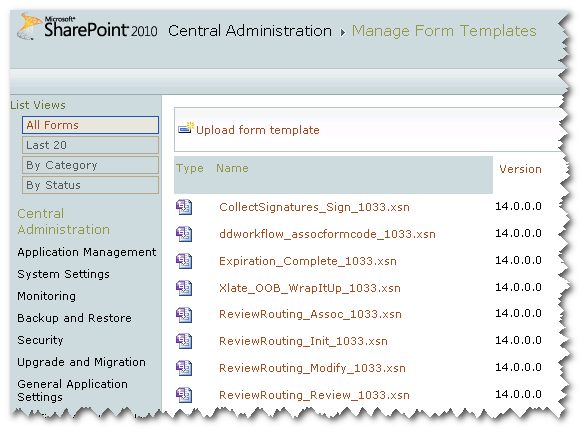 Identify a Missing Feature During a SharePoint Upgrade | Are you a user? If you are upgrading from SharePoint 2007 to SharePoint 2010 and run into an error when using the Test-SPContentDatabase cmdlet in Powershell, try this quick tip. Navigate to the C:\Program Files\Common Files\Microsoft Shared\web server extensions\12\TEMPLATE\FEATURES folder on the SharePoint 2007 box and perform a GREP (search using “look in” files option) for part of the GUID of the missing feature. This will likely point you to a feature.xml file that has the feature GUID inside it. Using this file and the containing folder, you should be able to identify what feature is causing your problem. Here is the original error. sing feature: Id = [d0944c5e-9a3a-41a0-ab89-6a810e305574]. ns the feature and restart upgrade if necessary. 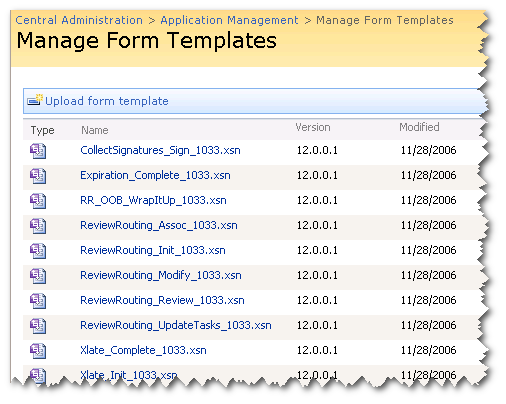 You might also find some custom InfoPath form templates that have been installed and activated as a feature. sing feature: Id = [f1af5c31-4605-4469-f8bb-a65f854060e9].